The World Numerology App analyzes 18 different numerology readings created specifically for you - with instant access to your FREE 8-page PERSONAL READING, free Daily Forecast, and 3 free Chart Calculators. Master numerologist Hans Decoz has created the largest collection of personal numerology readings found anywhere – all in one app. Each report covers a specific area of your life. Learn more about your personality, talents, the way others see you, and why you choose the things you do. View approaching challenges and opportunities. Pinpoint your state of mind and emotions, and check your relationship compatibility with the people in your life. 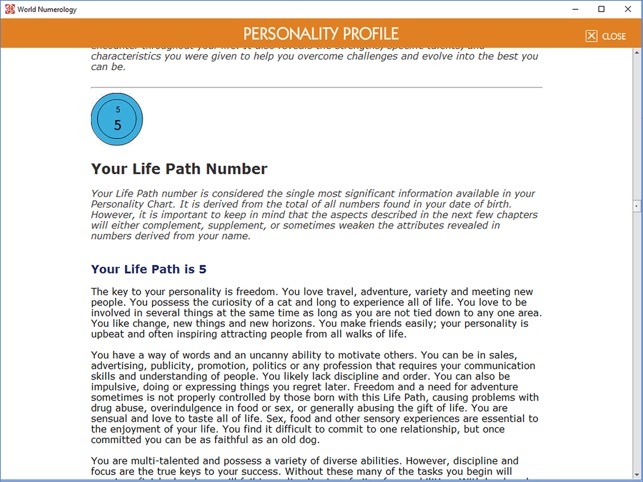 Each detailed reading is based on your unique name and birth date, making them highly personal. Plus, you can add others (as many people as you like) to see their free readings and charts. The app makes it easy for you to access information you use every day. Start the morning with your Daily Forecast - Plan each month with your Monthly Forecasts - Make unlimited Relationship Reports (and see how your yearly and monthly forecast compares to your partners or friends) - Check your daily Lucky Numbers! 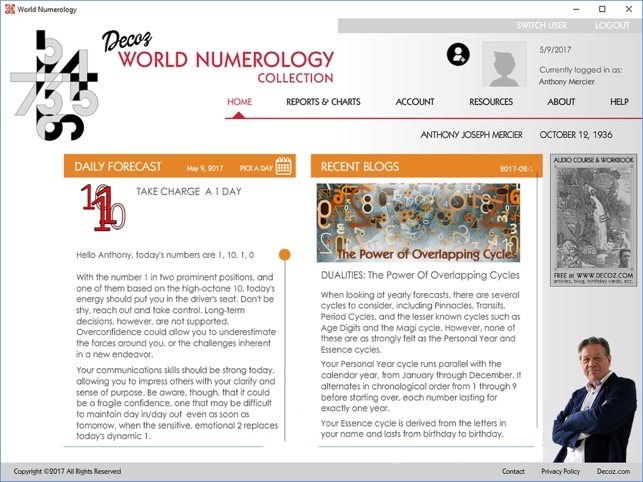 • The complete collection of Dutch numerologist Hans Decoz, leading master numerologist for over 35 years (google him…). • Analyzes the way your core numbers affect each other, explaining how the different aspects of who you are work together – or battle one another. Unique to Decoz reports. • Decoz also considers where each number appears in your chart. 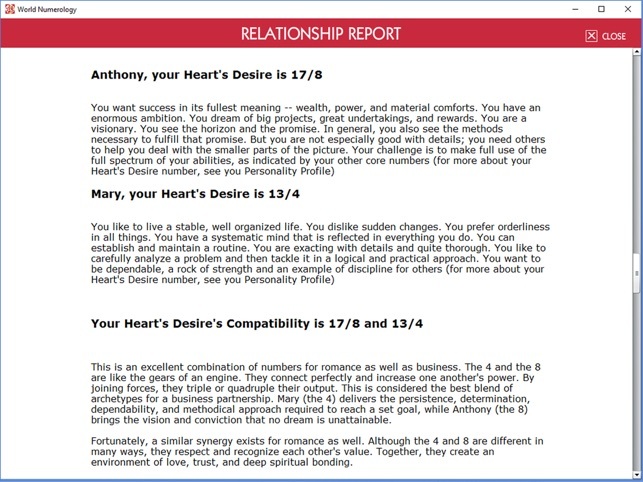 Other numerology programs give a 3 Personality, 3 Expression, and 3 Heart’s Desire (for example) the same description. Repeating the same text in different areas of your chart does not consider where the number is located - which is as important as the number itself. This calculation creates an enormous difference in your reading. • The Yearly Forecast analyzes the combined effect of overlapping Essence and Personal Year cycles (how you will react to the events and changing circumstances of the year) – another unique computation. Includes 12 monthly forecasts and a peek into next year. • Unlimited Relationship Profiles: The only app that lets you check your compatibility with as many people as you like for a year. Includes monthly and yearly compatibility forecasts for each relationship. • No fillers - no advertising! We do not auto renew your yearly subscription. Your privacy is highly important to us - we do not share your email or personal information. 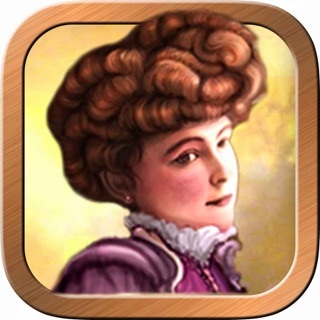 • The app gathers all your personal readings in one place, ready to access from any device, any time. 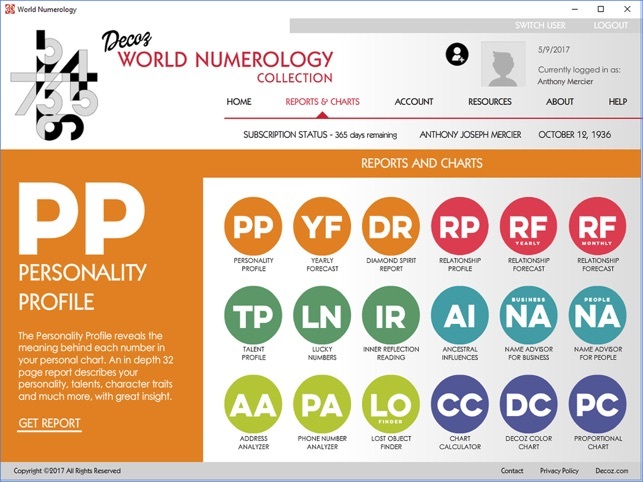 • The World Numerology Collection includes more numerology report types than any other software or website - all for less than some sites charge for 1 or 2 readings. Updated .... Customer Service to the rescue! Since writing my original review I was contacted and assisted. Apparently, my original software was managed by a third-party, who did not give any customer service. Now that it’s back in the hands of its rightful creator, I’m happy to give this and any other product of the Decoz a five star. I Would have loved giving this app five stars, but my experience in trying to get support from this company is so terrible, the only thing I could give it one star. 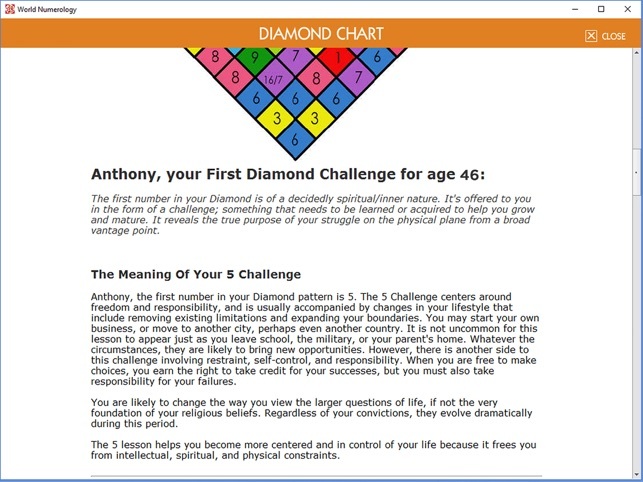 I also have the desktop PC version of the master numerology program and have been trying to get support LITERALLY for two years. They don’t even have the courtesy of giving me a return email. Steer clear of this company because if you have a problem they’ll ignore you. I absolutely love this numerology app. The info contained in my personality profile is so accurate that it's scary. Much of the report detail I've known or sensed about myself often and was further clarified while reading the info. There are quite a few surprises too. I feel inspired to study and learn more about numerology in general. I also love the opportunity to create reports for others especially those who are close to me since this allows me to have greater compassion for their walk in life. There is also a wealth of info found in the articles and blogs as well. 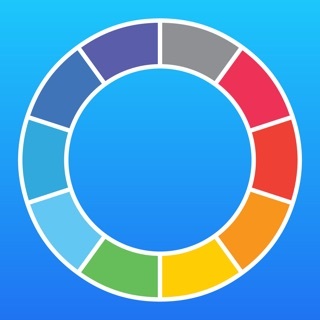 I highly recommend this app for those who want a greater understanding of themselves and how they show up in the world. World Numerology's information and the people who provide it are of the highest quality! In addition to my own reading, I have already purchased several more and have found them to be not only clear, detailed and professional but also amazingly accurate with the capacity to inspire, bring greater insight and understanding and promote empowerment. Thank you "World Numerology " for making our world a better place one numerology reading at a time!